Charles Hicks said in a pre-race interview at Nike Cross Nationals that he just wanted to be competitive and hang with the best runners in the country. That is exactly what the Bolles junior did Saturday at the Glendoveer Golf Course in Portland, Oregon. 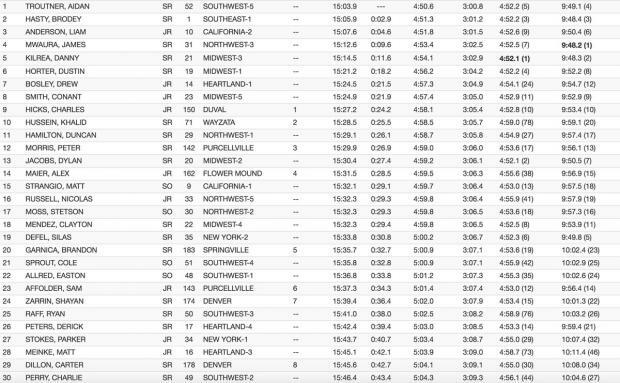 Hicks was in 11th or 12th through one mile, 10th at two miles with a time of 9:53.4, and cracked the top ten crossing the finish in 15:27.14 and 9th place. Hick's performances was the fastest by any individual on a qualifying team and earned him second team All-American honors. He also becomes the highest placing Floridian male or female as the only one to crack the top ten. Armando (AJ) DelValle was 14th in 2011. Hicks time was also the best ever by a Floridian surpassing DelValle's 15:34.30 by over seven seconds. 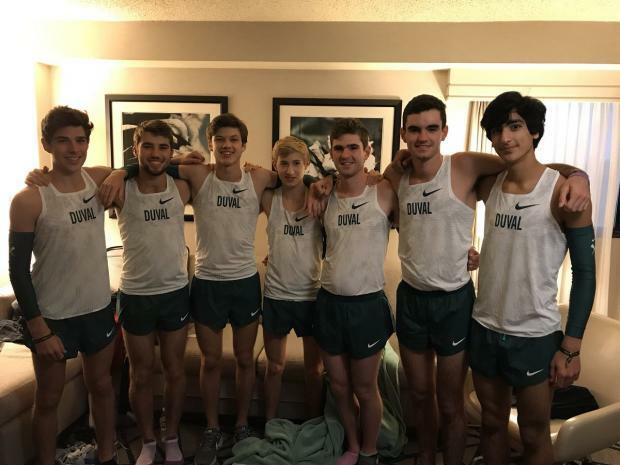 While Hicks had a standout day for the Bulldogs who ran under the name Duval XC, the rest of the team didn't fare a well. 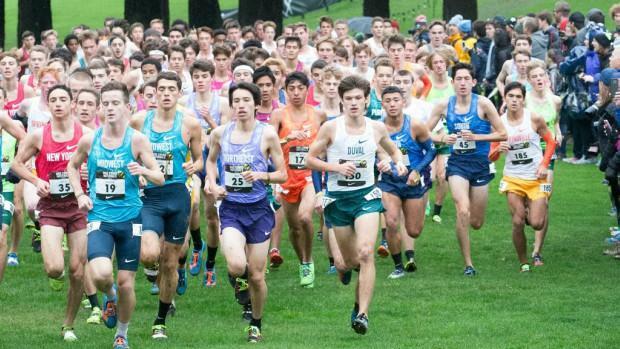 The next white and blue jersey didn't come until over one minute and 100 places later when junior Alex Hastings finished. Usual number two, Chase Rivera was the team's number three runner in 152nd. Fellow junior, Ben Foltz, incurred a bad ankle sprain about 200m into the race and was 182nd. 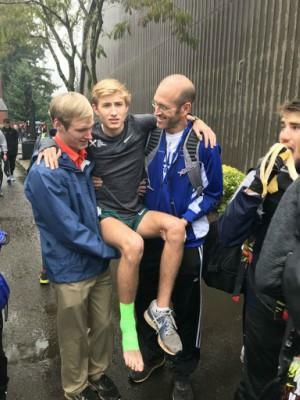 After the race, he had to be carried around by a pair of assistant coaches. Overall, the team finished 20th out of 22 teams. No Florida teams have ever finished higher. Winter Park in 2004 and Belen Jesuit in 2011 were 20th as well, while Columbus and Trinity Prep were 22nd in 2009 and 2015 respectively. The Episcopal girls did place 14th in 2005. Their goal coming into the season was to bring back the glory of the 1980's teams who rattled off three straight state championships in 83, 84, and 85. They accomplished that and more.They won the 2A Cross Country Finals in November after being runner-up in 2016. In a loaded southeast regional they shocked everyone but themselves to nab the second auto qualifier to Nike Nationals. In Portland, they wanted to represent Duval County and all of Florida, and they did with class and competitiveness.